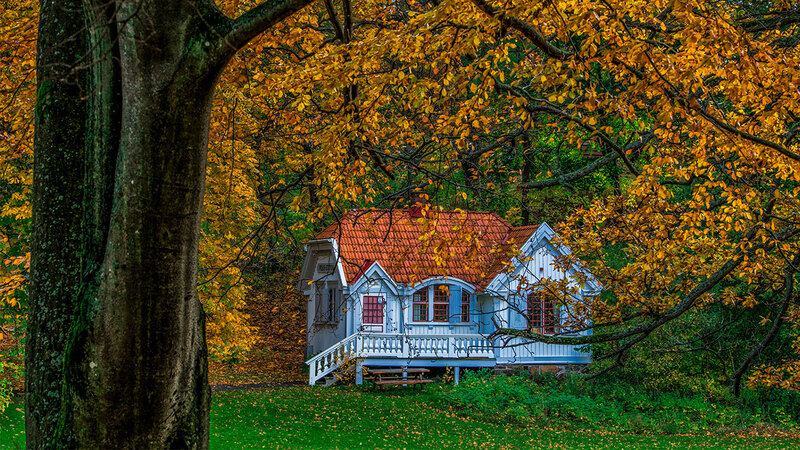 Fall is in full swing, and with it comes a seasonal real estate slowdown in many parts of the country. If you’re still house hunting, you might see fewer homes on the market and more price reductions. That’s partly seasonal and partly because more folks are getting sidelined by rising mortgage rates and home prices. Believe it or not, though, November is among the best times of the year to find motivated sellers. Here are some expert real estate tips for the month ahead. Sellers may be more open to offers with contingencies (such as finding a buyer for your own home before closing or a financing contingency), and be more flexible on the closing date or making certain repairs, says Darin Tansey, senior director of luxury sales with Douglas Elliman Florida Brokerage. More importantly, the longer a home lingers on the market, the more willing a seller may be to cut the price, Tansey points out. Snowy weather, bitter cold and a calendar chock-full of holiday events can make it hard to show your home this time of year. Sellers who aren’t in a rush might benefit from taking their homes off the market and waiting until the spring to list again, says Allison Chiaramonte with Warburg Realty in New York City. In markets where seasonality is driven by weather, sellers generally get higher offers (and more of them) in the spring. Sellers who can’t wait, though, should consider hosting an open house to drum up interest, Chiaramonte says. Another piece of advice: be more strategic about price reductions. When a price reduction moves your home into buyers’ online searches at lower price ranges, your home will be seen by a people it wasn’t exposed to previously, she adds. Maybe you aren’t looking now but it’s a 2019 goal. First-timers and those who know their credit needs work should work on it now. Use the holiday season to zero in on boosting your credit score, paying down debt, and getting your financial house in order, says Dave Scully, producing branch manager with Waterstone Mortgage in Cincinnati. For starters, avoid overspending during the holidays especially if you plan to buy in the next year. Borrowers should avoid large purchases or taking out loans in the month before a home purchase. It can lower your credit score and increase your debt-to-income, or DTI, ratio. Both are key metrics that show your ability to repay a home loan. Check your credit score for free at annualcreditreport.com, or sign up for a free Bankrate account. Knowing where you stand today gives you time to resolve errors or address collection accounts you may not have known about. To help boost your score quickly, pay down credit card accounts to under 30 percent of your maximum credit limit, Scully advises.